The California Department of Health issued guidelines highlighting the health risks associated with cell phone radiation exposure, and encouraging the general public to minimize their exposure to it. 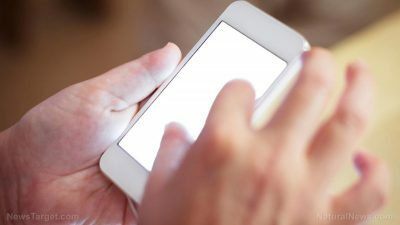 The statewide guidelines came after certain cities such as Berkeley and San Francisco released local warnings that their citizens should make some distance between their mobile phones and their bodies. Health experts explained that cell phones transmit information using low frequency radio signals that may expose users to unhealthy radiation. The risk of exposure may be exacerbated when users stream or download large files, experts said. The guidelines stressed on mounting evidence that cell phone radiation may increase the odds of developing cancer, attention and mental health disorders and reproductive health issues. “The French have tested the phones the way they are used and RF [radiofrequency] exposure exceeds the French standards by four more times, and apply that to the U.S. standards, it’s even much more than that — about seven times [the recommended levels]…[Multiple studies] show that men who keep phones in their pockets the longest have the lowest sperm count, with most damage,” Dr. Devra Davis of the Environmental Health Trust told Daily Mail online. The scientists added that while the radiofrequency energy that cell phones use to transmit information is at the bottom of the radiation totem poll, the frequency and close-range use of mobile phones are enough factors to raise health risks. According to Dr. Davis, even large cell phone manufacturers like Apple include an RF exposure notice on their iPhone’s settings and provide advice on how users could reduce their exposure. “Keeping a phone directly on the body has never been a good idea. Most people are not aware that there is a clear warning to keep the phone off the body embedded in the phone. Many people keep their phones in their pockets for hours a day, esp[ecially] in the summer [when] thinner exposures will be far greater. The advice is welcome, and long overdue,” Dr. Davis added. “We recognize that there are a lot of people in the general public that have some concerns about their cellphones and whether using a cell phone is safe. When you sleep, you keep the cell phone at least an arm’s length away from your body. And also, not carrying your cell phone in your pocket, having it either in your purse or not carrying it with you,” Dr. Karen Smith of the California Department of Public Health concluded in a CBS News report.